To mark the brand’s 250th anniversary, Arnold & Son will unveil the Royal TEC1, a chronograph with flying tourbillon is powered by the proprietary A&S8305 movement. 250 years ago John Arnold was one of England’s leading horologists, making clocks and watches for both the British Navy and the King. Today the resurrected brand name marks that anniversary with a tourbillon chronograph, which will be officially unveiled at Baselworld 2014. 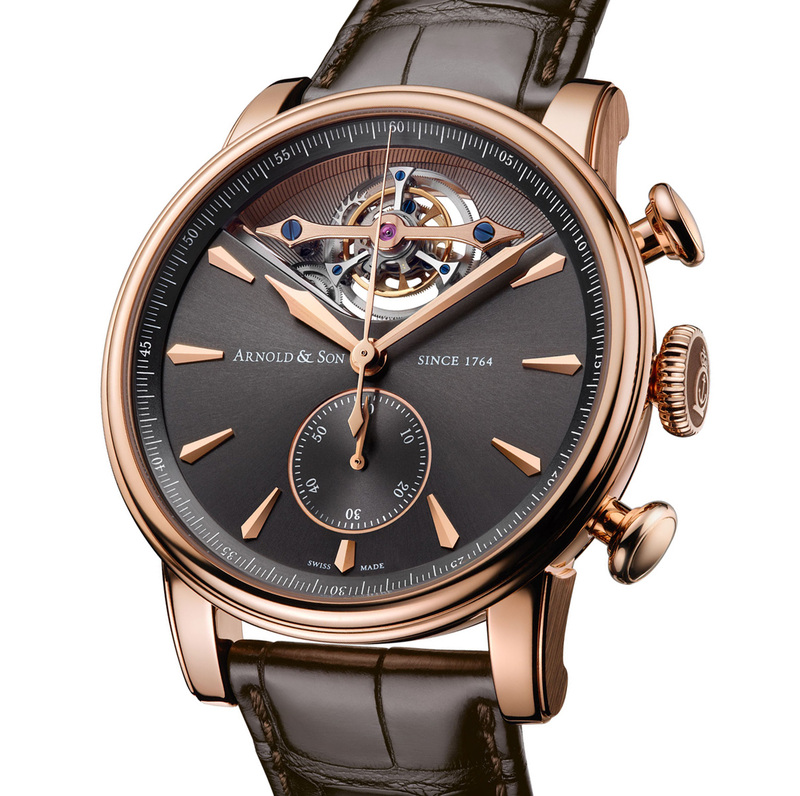 Inside is the A&S8305 calibre, developed by Arnold & Son’s sister company La Joux-Perret. Self-winding with a 55 hour power reserve, the movement has a tourbillon at 12 o’clock and a column wheel-controlled chronograph. A sub-dial at six records the elapsed minutes, while the elapsed seconds are in the centre. Because the tourbillon makes one revolution every minute, it also functions as the constant seconds hand. The rose gold case is 45 mm in diameter. 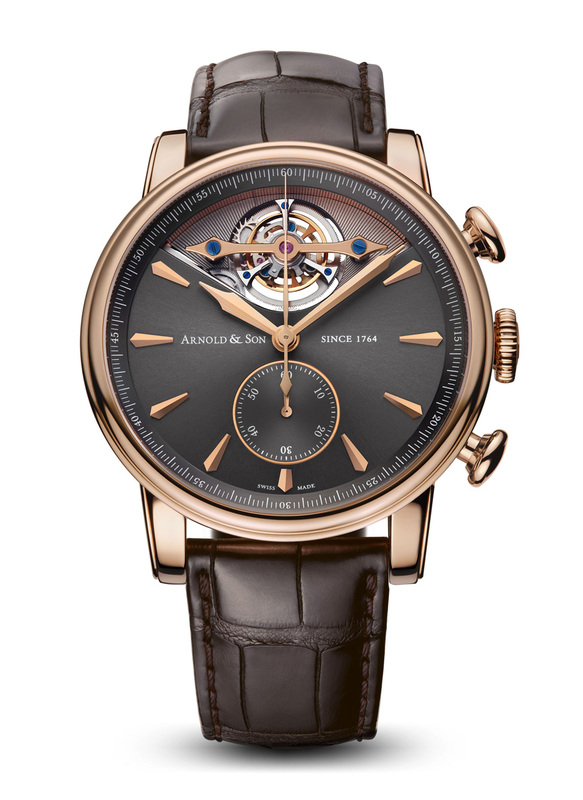 Arnold & Son’s strategy has been to create complicated timepieces priced lower than the equivalent of its competition, with the UTTE Tourbillon being a good example. So the Royal TEC1 retails for 92,448 Swiss francs, or about US$104,000, which is a substantial sum of money, but relatively less than what such timepieces usually go for.